A boy with a rare sleeping illness caused by a swine flu vaccine has won £120,000 in damages. He was awarded the money after appealing against the government which had initially refused to pay as he was not "severely disabled" enough. His mother Caroline Hadfield said winning was a "huge relief". Families are entitled to £120,000 through the Vaccine Damage Payments Scheme, but only if they can prove "severe" disability. Josh's narcolepsy was triggered after he was given the H1N1 2009 influenza vaccine, known as Pandemrix, made by GlaxoSmithKline, in January 2010. He also suffers from cataplexy, which affects muscle control, but he had shown no symptoms of the illness before being vaccinated. 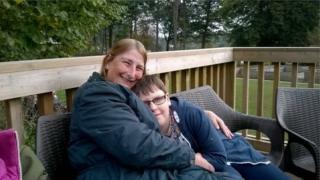 Ms Hadfield said: "It will help secure Josh's future. It's just a shame we had to jump through this amount of hoops to get this far." She said her son was "coping" and had to have "one to two sleeps" during the school day. "Josh has had to work incredibly hard because he misses lessons due to sleep and medical appointments," she said. She added he had also had a large weight gain caused by the condition and his medication. The Hadfield's solictor Suzanne Williams said she was "incredibly pleased" for Josh: "To succeed in the appeal, we had to satisfy the tribunal that he had a 60% disablement or more and they, in fact, concluded that he was 72% disabled based upon his present symptoms. "They were also critical of the medical evidence provided by the secretary of state which they considered had not taken into account the whole picture." Pandemrix was most widely used in the UK during the 2009-10 flu pandemic and given to almost a million British children between six months and five years old. Image caption Josh's mother Caroline Hadfield said his cataplexy sometimes caused "complete body collapse"
A spokesman for GlaxoSmithKline said: "We remain committed to carrying out additional research into the potential role of Pandemrix in the development of narcolepsy. "We are also supporting ongoing work from other experts and organisations investigating reported cases of the condition." The vaccine, which is no longer used, has also been linked to narcolepsy in children from Finland, Sweden and Ireland. The link between Pandemrix and narcolepsy was first suggested by studies in Finland and Sweden where a review of 75 children who developed the disorder had a tenfold increased risk of the condition within six months of having the jab. This was confirmed by another study in 2012 in Ireland showing a 13-fold increase in youngsters between five and 19 years of age. There are about 100 other cases in the pipeline, so it seems the awarding of £120,000 to Josh Hadfield is only the start. Josh Hadfield's story was featured on BBC Radio 4's File on 4. You can listen online or download the programme here.